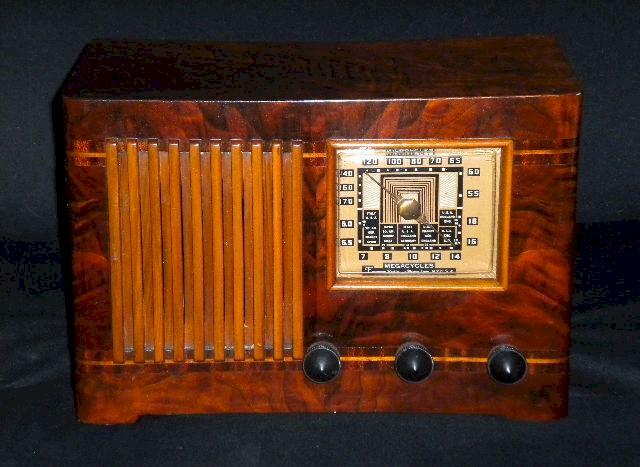 This Emerson radio in a desirable Ingraham case features a cabinet of figured burl wood. I have been told that is is a process using "tissue veneer" and it is amazing. The chassis has been replaced with one from a model CS268 also manufactured in 1939. The radio plays on both AM/SW. One of the favorite radios from my personal collection. 12"W x 9"H x 6-3/4"D.
You are visitor number 3,052 to this page.